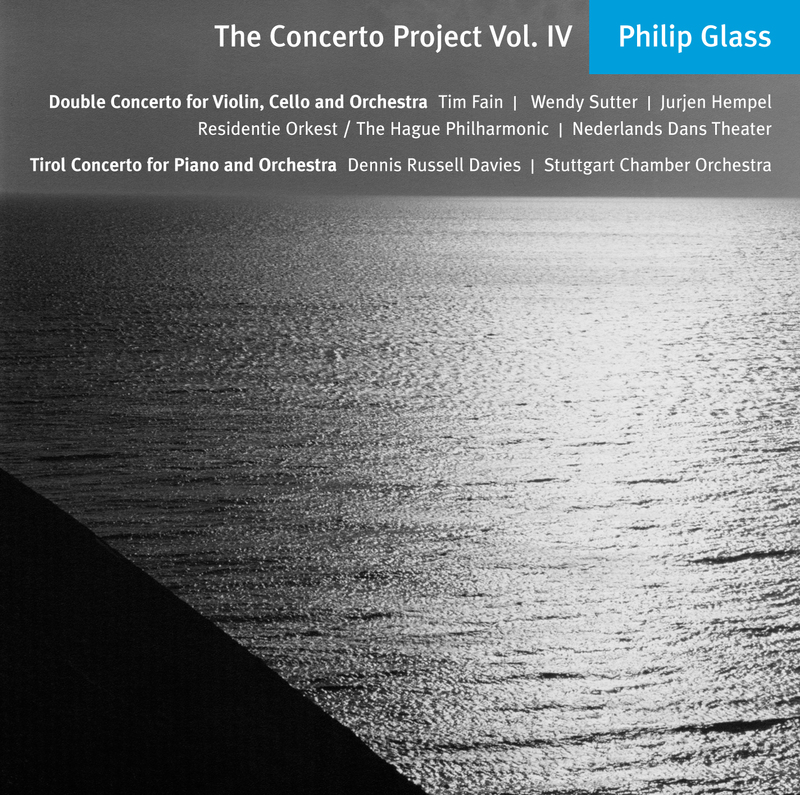 Philip Glass’s Double Concerto for Violin, Cello and Orchestra was composed in the spring of 2010 as a commission from the Netherlands Dance Theater, premiered by the Hague Philharmonic (Residentie Orkest) conducted by Jurjen Hempel on April 22, 2010 with violinist Cecilia Bernardini and cellist Maarte-Maria den Herder. The music was composed as original score for the ballet Swan Song by choreographers Sol Léon and Paul Lightfoot. The original commission was simply for an orchestral work from Glass. However the composer had wanted to compose a double concerto for violin and cello for quite some time and this provided the perfect occasion to realize the piece. Glass felt that the solo instruments would make perfect dramatic analogs to the lead dancers on stage. The dance world has long been a birthplace for concert works (including Glass’s own Heroes Symphony) and NDT with the choreographers graciously embraced this idea and the ballet was premiered and taken on tour an extensive tour through Holland in the spring of 2010 with soloists who premiered the work as well as soloists whom Glass recommended to the theater: Tim Fain, Maria Bachmann, and Wendy Sutter. The NDT continues to perform and tour this work as Swan Song. A special thanks goes to Alexandra Scott whose patience and professionalism was crucial in bringing this project together despite great obstacles (including a volcano eruption which disrupted travel plans!) and saved the day at many points along the way. The Tirol Concerto for Piano and Orchestra was commissioned by the Festival Klangspuren with support of Tirol Tourist Board and the Stuttgart Chamber Orchestra. The piece has its premiere on September 22, 2000 by Dennis Russell Davies and the Stuttgart Chamber Orchestra at the Tirol Festival Klangspuren in Jenbach Austria. Dennis Russell Davies, after asking Glass for a piece which Davies could conduct from the keyboard, championed the work with extensive touring of the piece in the USA and Europe and continues to do so having recently performed the work with the Basel Symphony Orchestra where he is Music Director. While staying in the Tirol, Glass studied sound documents and sheet music of Tirolese folk-music. In the Tirol Concerto he used original folk-music source material directly for the first time in his music. Tim Fain performs on a violin made by Francesco Gobetti, Venice 1717, the “Moller” on extended loan from Clement and Karen Arrison through the generous efforts of the Stradivari Society of Chicago.